While the majority of my posts are eccentric and humorous in nature, I wouldn’t be human if didn’t expose myself to you in a deeper way. Don’t worry, I’m not showing you my nudies (at least without proper payment) Yes, the majority of the time I am a really goofy, fun-loving, positive person who’d do anything for a laugh. But within me, and probably within each of you, is something raw and real that we don’t show another soul. When we are depressed, we hide from the world. To be vulnerable is to be exposed to pain, and damn it, PAIN HURTS! So we suffer in silence, hoping that we have a few good friends who will see the pain through our smile. Listen people, I have the remedy for your depression woes, and it doesn’t exist at the bottom of that pill bottle! It’s called TRAVEL. 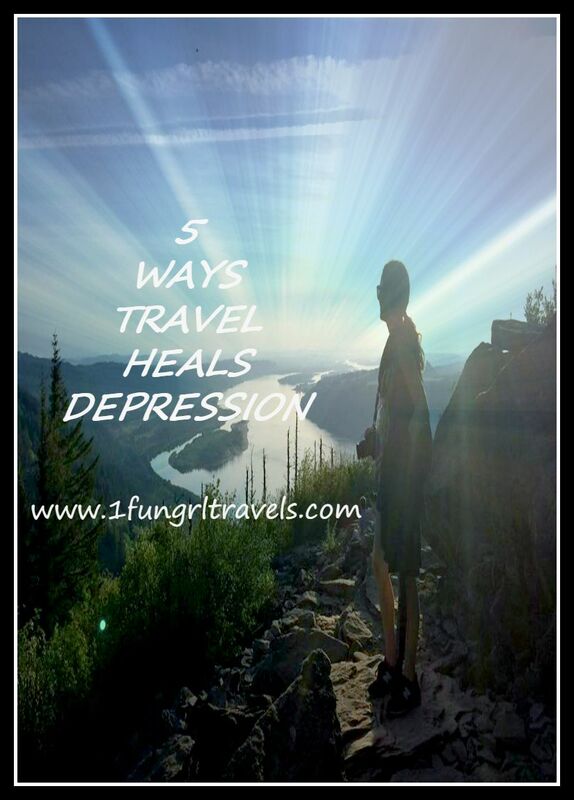 Thus, I give you 5 ways that travel heals depression! 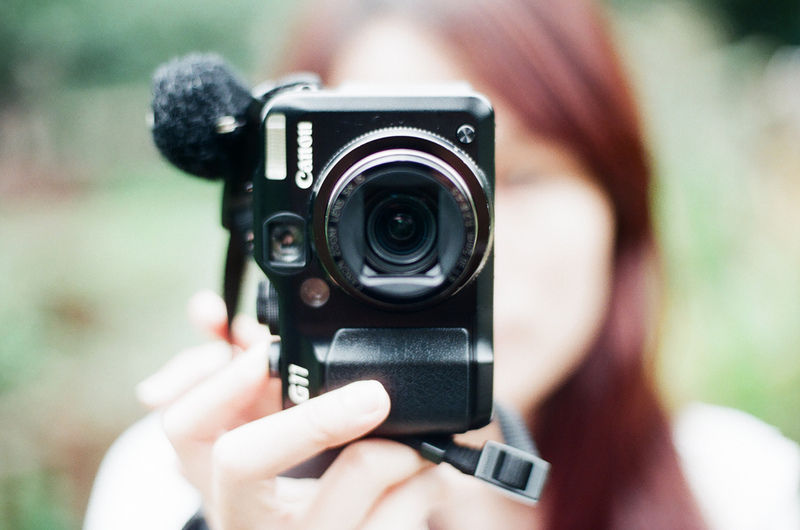 My first bought of real depression came after my 8 year relationship fizzled into thin air. I literally felt LOST. SO COMPLETELY LOST. College had just ended, my first real relationship was over, and I was all by my lonesome living back at my parents place. It was a crossroad I look back on and still remember vividly. I was attempting to find work, and nothing seemed exciting or meaningful in the least. I still remember watching the Travel Channel 24/7, idolizing Brooke Burke and wondering if I could ever have her job. (let alone her body) I can’t pinpont the exact moment, because to be honest I stewed about going on a Eurotrip for MONTHS, but one day I finally booked the ticket. It was done. There was no turning back. Little did I know it would turn out to be the best decision I ever made. As soon as I booked that ticket, I had some serious planning to do. It was the first time I’d ever traveled anywhere longer than a week. What ON EARTH would I pack for a month long Eurotrip and HOW? (I mean, naturally I thought about attire first) What countries would I want to visit besides Spain? Where would I stay? How do I keep from getting mugged and raped? Will I be lonely? I don’t even speak any foreign languages- WHAT AM I DOING TO MYSELF?! But guess what. I wasn’t depressed any longer. I was just nervous, scared, and excited! 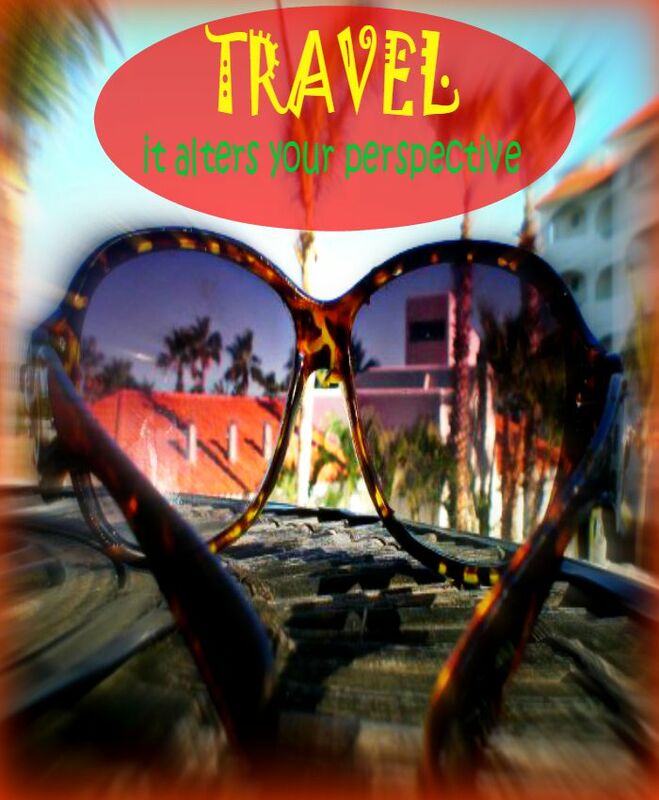 Travel planning gives you something to focus on so that you don’t feel as depressed. You are busy and on a mission! How does that old adage go? It’s not what happens to you, it’s how you react that matters. It’s so much harder to feel sorry for yourself when you’re passing out toys to impoverished children in Mexico, or volunteering to make a difference treating wounded wildlife animals, or helping to give children in Africa clean water. Of course, not all of my trips were as meaningful as this, (thought I did partake in passing out toys to children) but I think you catch my drift. Your perspective isn’t based on WHAT IS HAPPENING TO YOU any longer, and you begin to remember what happiness is. Happiness is an illusion created BY YOU that you can actually change and control. You don’t have to google far to understand that expressing gratitude heals depression, but if you want to read more about it, click HERE. 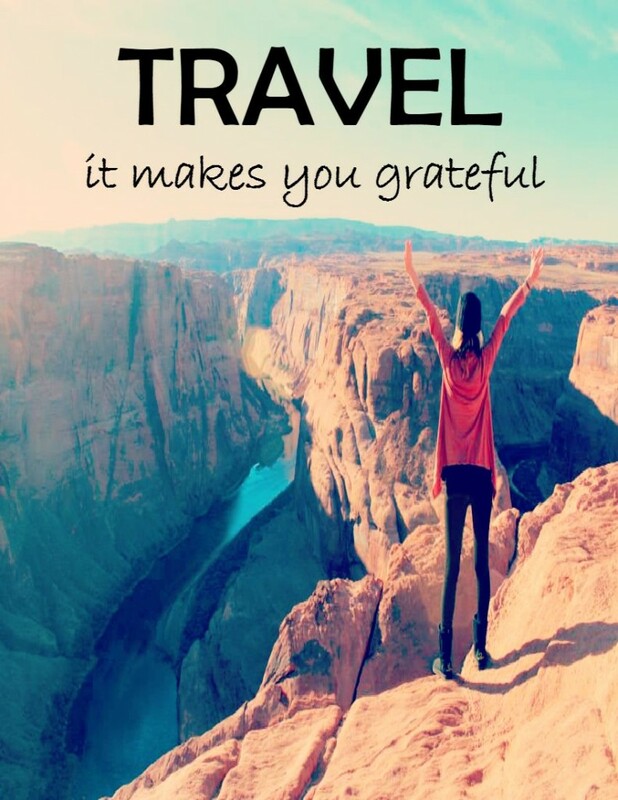 If that is the case, then exactly how does traveling make you grateful? Can’t you get that exact same feeling staying at home and practicing meditation and writing in a gratitude journal? Yes, of course you can, and I’d highly recommend it! The gratitude you get from travel is just a different kind of grateful, in which you are thrust into a different environment every day, and forced to be thankful for it. For instance, while I was roaming around Europe, I was definitely lonely at times, but it made me so incredibly thankful for the family and friends I had at home! Stripped of our every day culture, we gain a new sense of gratitude for the people, food, and customs that make us who we are. So I’ve told you the first life event which initiated my wanderlust lifestyle, but it pales in comparison to what I’m going to reveal now. By and large, the most depressing thing that has ever happened to me was the passing of my father which occurred on August 24th, 2010. 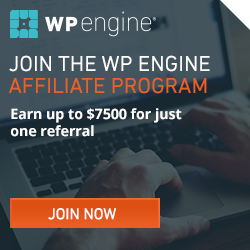 He passed from ALS, a debilitating illness for which there is still no cure, so in essence I watched as he withered away over the course of 2 years. If you’ve ever had someone close to you die, you understand the immense pain I endured to witness this. There was certainly a time I considered getting anti-depressants, but my stubborn self couldn’t cave to the pharmaceutical industry. Six months after he passed, I did the only thing I could possibly think of to heal my pain: I went on a 6 week venture to Australia by my lonesome. Now some of you might see this as a form of escape. Let me tell you why it wasn’t, at least for me, and how in my case, travel heals depression. WHAT?! What on earth does vulnerability have to do with traveling and/or how does it relate to healing depression? Well, let me ask you this. When you go to a therapist or counselor to talk to a perfect stranger about your life woes in an office, how much does it differ from talking to a travel buddy on a gorgeous hiking trail in Australia about the exact same issues? Don’t get me wrong, I am not in any way belittling or devaluing the education and commitment it takes to receive the training to be a therapist. I’m just saying that people really underestimate the value of healing that resides in expressing yourself in a different manner, such as laying on a beach and diving into your innermost thoughts and fears with a close friend or stranger. I spoke about my grief a few times while I was traveling around Australia, and it was extremely cathartic. So while leaving your comfort zone and traveling will leave you naked and vulnerable, vulnerability is often what we need most to deal with grief and/or depression. When you travel, not everything will go according to plan. You WILL have bad days, and you have to expect the unexpected. You might miss a flight, and have to sleep at an airport. You might get harassed by a stranger. You might have to beg for money because you lost yours (all of which have actually happened to me) My traveling adventures have made me much more of an adaptable person than I used to be, which is necessary when dealing with the emotional rollercoaster that is grief! In summary, let me say this. 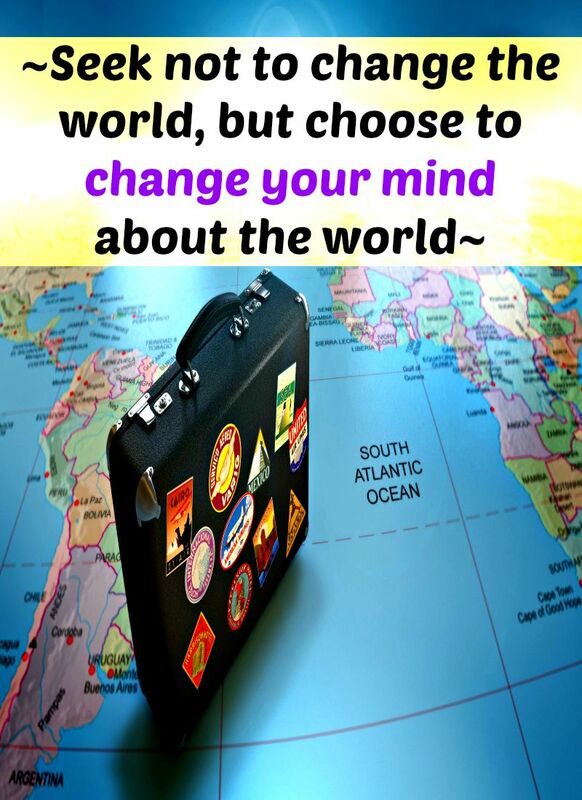 While traveling can cause radical life transformation, it SHOULD NOT be the only avenue you use to relieve depression. And traveling to CURE depression is a lost cause, as problems you have will always travel with you. However, I do believe there is a certain way in which travel heals depression. Depression is a serious issue, and while I try to insert laughable matter into this post to make light of it, I only do so because I know sometimes humor can be the best anecdote for those who are depressed. I am still dealing with bouts of grief from my father’s passing today, but TIME seems to be the one thing that truly helps. If you are truly suffering from depression, please locate other sources which can help you return to a happier existence. Seek professional help, try a new hobby, explore your passions, meditate, help someone else, and surround yourself with people who care. After all, we are all in this together! Have you ever had a moment in your life you thought you couldn’t bounce back from? What helped you ease the pain? Do you believe travel heals depression?